Family, Reviews, Healthy Living, Photography and More! 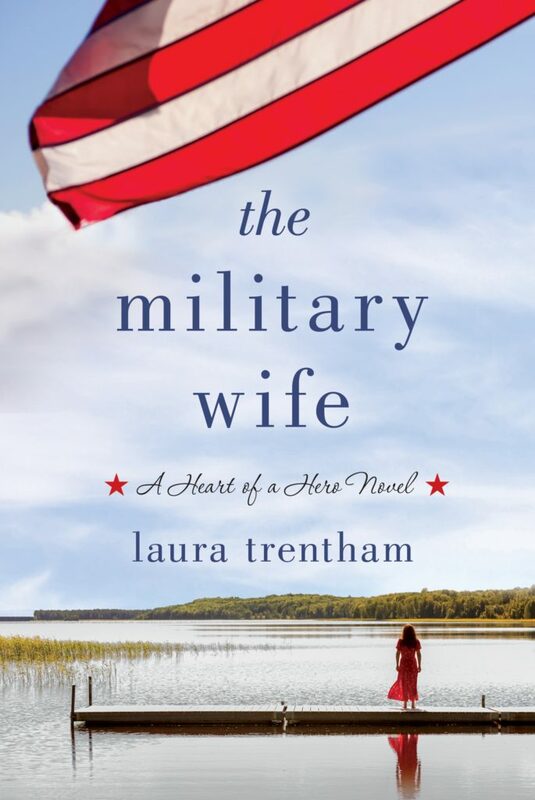 A young widow embraces a second chance at life when she reconnects with those who understand the sacrifices made by American soldiers and their families in award-winning author Laura Trentham’s The Military Wife. Harper Lee Wilcox has been marking time in her hometown of Kitty Hawk, North Carolina since her husband, Noah Wilcox’s death, nearly five years earlier. With her son Ben turning five and living at home with her mother, Harper fights a growing restlessness, worried that moving on means leaving the memory of her husband behind. Her best friend, Allison Teague, is dealing with struggles of her own. Her husband, a former SEAL that served with Noah, was injured while deployed and has come home physically healed but fighting PTSD. With three children underfoot and unable to help her husband, Allison is at her wit’s end. In an effort to reenergize her own life, Harper sees an opportunity to help not only Allison but a network of other military wives eager to support her idea of starting a string of coffee houses close to military bases around the country. In her pursuit of her dream, Harper crosses paths with Bennett Caldwell, Noah’s best friend and SEAL brother. A man who has a promise to keep, entangling their lives in ways neither of them can foresee. As her business grows so does an unexpected relationship with Bennett. Can Harper let go of her grief and build a future with Bennett even as the man they both loved haunts their pasts? The Military Wife is a beautiful story of suffering, forgiveness, grief, hope and love. The characters in this story are either members of the military or spouses of an enlisted member. We are given an intimate look at the lives of military wives and the sacrifice that many of them go through. Many of them have given up careers or the potential for a career to follow their husband as they are moved to base to base, they deal with raising children on their own and not to mention with the psychological impact that their spouses may be dealing with. Harper, now a single Mother after the death of her husband overseas is struggling with moving on. She loves her child and is an excellent Mother but doesn’t do enough for herself. She misses her husband and is afraid to move on in fear of hurting his memory. When his best friend and SEAL partner enters her life again, she realizes she needs answers for closure. What she wasn’t ready for was the attraction to this man that meant so much to her deceased husband and the impact he had on their lives. While dealing with her own struggles, her best friend and the person who carried her through her husband’s death, is dealing with her own trials. Her husband is dealing with many mental health issues but refusing to seek help. This not only takes a toll on his wife but his children and we watch as not only him but their whole family spirals out of control. This is a beautiful, heart wrenching at times story of ordinary people struggling through death, grief, forgiveness and searching for calm in a storm and a sense of purpose. I loved every moment of this beautiful story (and wouldn’t mind a part two!). You can purchase a copy of this book here. LAURA TRENTHAM is an award-winning author of contemporary and historical romance. She is a member of RWA, and has been a finalist multiple times in the Golden Heart competition. A chemical engineer by training and a lover of books by nature, she lives in South Carolina. Disclosure: I received a digital copy of this book in order to facilitate this review. All opinions expressed are my own.